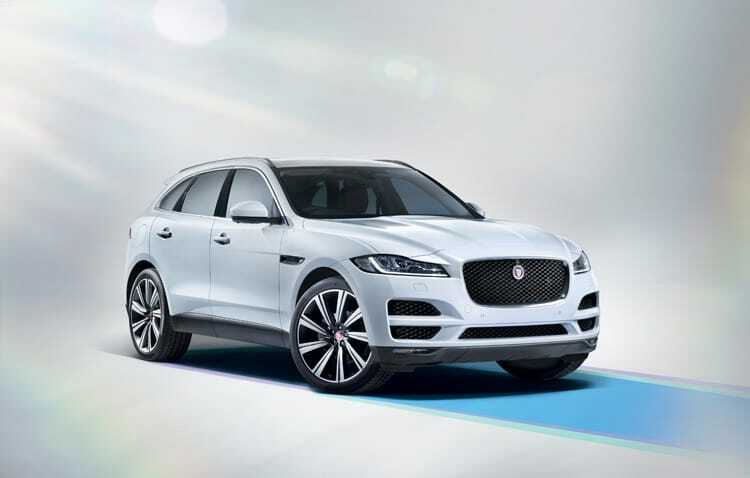 2016 is the year we finally saw the launch of a luxury SUV from Jaguar. There have been rumours about it being manufactured for a few years and we saw it come to life in the form of a Jaguar F-Pace. 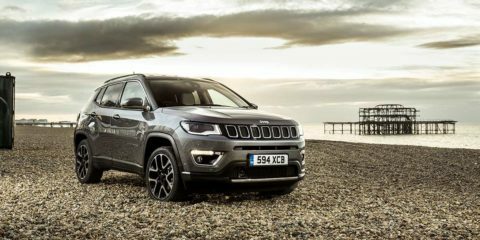 But, not only was it launched, it smashed everyone’s expectations and is not only the best SUV of the year, but one of the best cars launched in 2016. 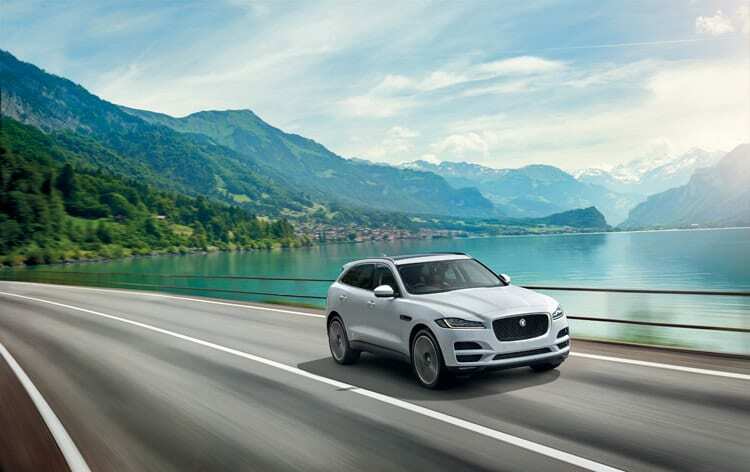 The Jaguar F-Pace has been met with positive reviews across the board with many critics claiming it is not only one of the best rides you can take in a luxury SUV, it is also one of the most fun to drive. It is suitable for those of you looking for a luxury environment to enjoy whilst you drive. It is spacious and comfortable for those of you with families and children especially. It looks beautiful, graceful and yet strong for those of you wishing to make an impression, maybe at a business meeting or simply dying to impress. If you are interested in one, Hippo Motor Finance is a car finance company ready to offer you a great deal on a Jaguar F-Type with deposits starting from zero and low monthly payments. Jaguar have ensured you have a choice of engines when it comes to choosing your F-Pace. None of the models are particularly slow, so you only really have to consider the sound it makes and how much fuel it drinks as well as efficiency when driving on the motorway. The cheapest engine and the greenest engine are versions of the same four-cylinder 2.0-litre diesel engine. It develops 180 bhp and from that power it produces a top speed of 130 mph with acceleration from 0-60 mph in 8.5 seconds, so it isn’t slow by any means. With regards to its combined furl economy, it produces 57.7 mpg, which is very good considering the fact the F-Pace is an SUV. The fastest engine is a 3.0-litre supercharged V6 engine that is paired with an automatic gearbox and all-wheel drive system that gives you full control of the monster beneath the bonnet. The V6 engine produces 380 bhp. That extra 200 bhp gives the F-Pace an electronically limited top speed of 155 mph and it can sprint from 0-60 mph in 5.1 seconds. This blistering speed for an SUV does come at a price of a combined fuel economy of 31.7 mpg. The Jaguar F-Pace is quite a special car. Most cars you climb into make you feel like it has been designed for the mass market, whereas the Jaguar F-Pace feels like it has been tailor made for you. The dashboard is tall and feels like it wraps arounds you, whilst you can get an electrically adjustable seat as an optional extra to ensure you have the perfect driving position for you. 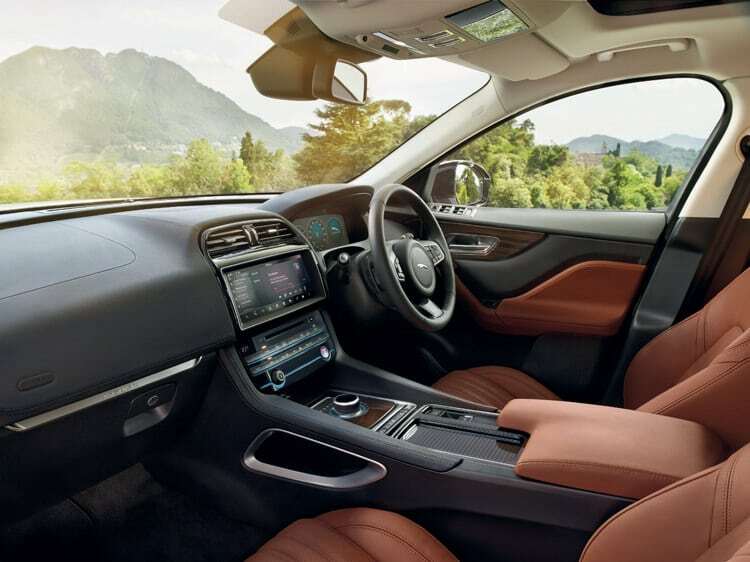 The interior is a beautiful leather setting mixed with other high quality materials. It also comes with a dangerous infotainment screen and by dangerous we mean touchscreen only. You will have to take your eyes off the road to use it, unlike other cars that have rotary controllers. The entry level F-Pace comes with an 8-inch screen, but it you go for a more expensive model, you get a 10.2-inch touchscreen. Both supply crisp graphics and quick navigation. As another optional extra, you can treat yourself by replacing your usually speedometer and rev counter with a 12.3-inch screen like the Audi’s Virtual Cockpit. Jaguar has designed the seats in the F-Pace to be both comfortable and supportive, especially the way they hold you in place when driving a pace. You also get great visibility when you have adjusted your seat to match what you are looking for. If you or your passengers are 6-foot plus, you have nothing to fear. There is plenty of headroom and legroom in the front and the back for them to seat comfortably. Jaguar have also beaten their rivals when it comes to the boot capacity. Land Rover gave the Range Rover Evoque 575-litres of boot capacity. Mercedes went even lower, giving their GLC only 550-litres. Jaguar delivers an impressive 650-litres of boot capacity for the F-Pace. The Porsche Macan has been set as the driving benchmark for luxury SUVs for a couple of years now and many of the other car manufacturers have aimed to knock it off its perch. It really is that good a car to drive. The Jaguar F-Pace does better. It is controllable, so you don’t have to worry about body roll and it is extremely agile that you might not expect from a car of its size or design. The F-Pace is a brilliant all-rounder. It comes with an Adaptive Surface Response traction control system that delivers huge reserves of grip for the F-Pace. It delivers this by constantly juggling power between all four wheels rather than to all four wheels at once. It also chooses the best suspension settings to use dependent upon the road conditions. It also comes with Land Rover’s All Surface Progress Control system that is designed for off-road driving. This means the F-Pace is a fantastic drive on both road and off-road. With both engines, the 2.0-litre and the V6, the F-Pace feels at home and does deliver a brilliant drive. As has already been mentioned, the F-Pace is not a slow car and it all depends upon if you want to go fast with 8 seconds to 60 mph or 5 seconds to 60 mph. Either way, it is one of the most fun cars to drive launched this year. If you are tempted to finance cars, then you must consider the Jaguar F-Pace, especially if you are a fan of SUVs and have the budget to look at the top end of the car finance market. This is one of the most exciting cars now available through car finance at Hippo Motor Finance.